Spright was established in 1987 and has thirty-two years experience in the executive private hire business. From our base in Whitchurch, Herefordshire we offer executive cars and professional drivers exclusively for airport transfers, long distance travel and full day hire in Wales, The Midlands and the West Country, with counties covered including Monmouthshire, Herefordshire, Gloucestershire, Worcestershire, Powys, Pembrokeshire, Carmarthenshire and all areas around Newport, Cardiff and Swansea. You can book a taxi for any time of the day or night in Somerset, Devon, Cornwall and Wiltshire for long distance travel and airport transfers. Our quality car service is now available from and to the South West of England including the City of Bath and also Bristol, Barnstaple and Frome. Our executive car service is available for journeys to and from the town of Cheltenham in Gloucestershire. We have range of cars and people carriers available to transport you to and from destinations far and wide. You gain many benefits from booking your taxi service through Spright, which include quality vehicles all of which feature air-conditioning. You also have access to free WiFi while you travel and complimentary bottled water is always available. In addition, you will have a professional driver who will be neatly attired in a suit and will aways go that extra mile to ensure that your journey is enjoyable, smooth and, above all, safe. Because we don't undertake short journeys we prepare each vehicle for every individual hire and provide a quality executive service. This means you'll always be travelling in a clean and well maintained car. Also, because we are not taking lots of bookings for small journeys each day, our drivers are not having to rush your transfer to get back for another journey. This makes for a much more relaxed atmosphere and thus you can arrive at your destination calm and relaxed. Our drivers are masters of customer care and know when to join your team and also when to stand back and blend into the background. They take pleasure making sure your journey is pleasant and trouble free. Cars include the Mercedes E Class and all feature leather upholstery, air-conditioning, bottled water and WiFi. Cars are available for UK airport transfers to and from all the major airports including Heathrow and Gatwick. Airport transfer quotes available via our online price quote request form. We can now also offer a quality Ford Galaxy people carrier for up to six passengers. This vehicle is available for airport transfers to and from Wales, The Midlands and The West Country. We can provide quality car services in Abergavenny, Bath, Brecon, Bristol, Cardiff, Cheltenham, Gloucester, Ledbury, Leominster, Monmouth, Ross-on-Wye and Usk to name just a few locations within our area of operation. Executive taxi chauffeur to Hay Festival, Wales. 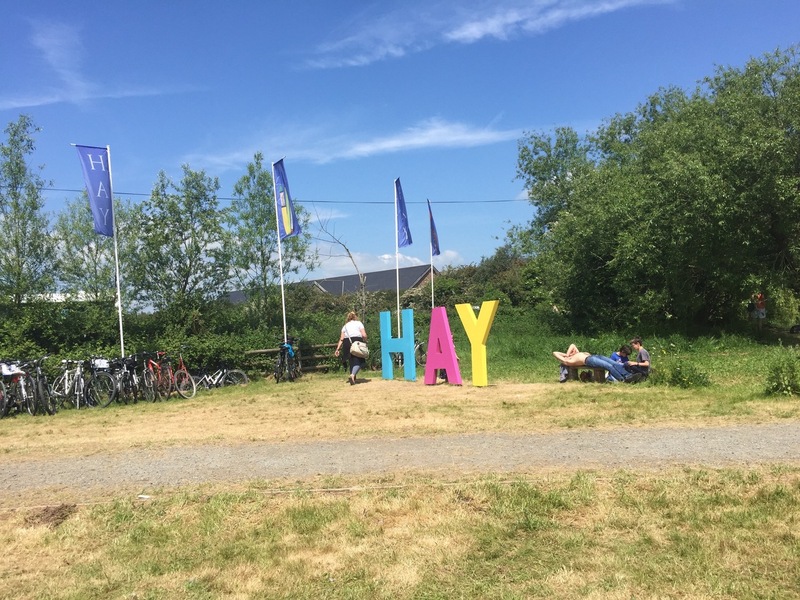 Our executive taxi chauffeur service is available to Hay Festival Wales during the 2019 festival from 23rd May until 2nd June. Cars include the luxury Mercedes-Benz E Class. We can provide a driver from London to Hay Festival for the transportation of authors and other staff for publishers. Our executive car service is also available from all the major airports in the UK including Heathrow, Gatwick, Birmingham, Bristol and Cardiff. Our drivers can transport you directly to the festival site in Hay-on-Wye or to your hotel or other accommodation. For further information, or to request a price quote, please email us with your Hay Festival transport requirements on info@spright.co.uk. Spright offers a quality Private Hire Car Service from the County of Herefordshire in the English Midlands. We have cars and drivers available in Hereford, Ledbury, Leominster and Ross-on-Wye for airport transfers and long distance travel. Spright is licensed by Herefordshire Council and operates from the village of Whitchurch, just three miles from the Welsh border town of Monmouth and 7 miles from Ross-on-Wye. Spright is based in Whitchurch, between Monmouth and Ross-on-Wye. We are licensed for private hire by Herefordshire Council. Page last updated on April 20, 2019.